Is it still possible to renew my license, even if it is past the deadline? The process for renewing your license after your renewal deadline varies by state and profession. 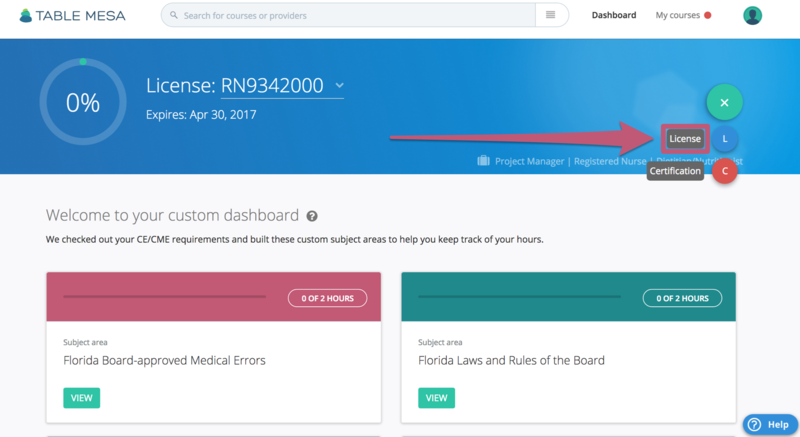 Penalties for not completing your courses can result in disciplinary action from your board, or a delinquent status on your license, until you have fulfilled the requirements. Contact your licensing board for details. Login to your Dashboard and on the right side of the screen, click "Add." In the drop-down menu, click "License." 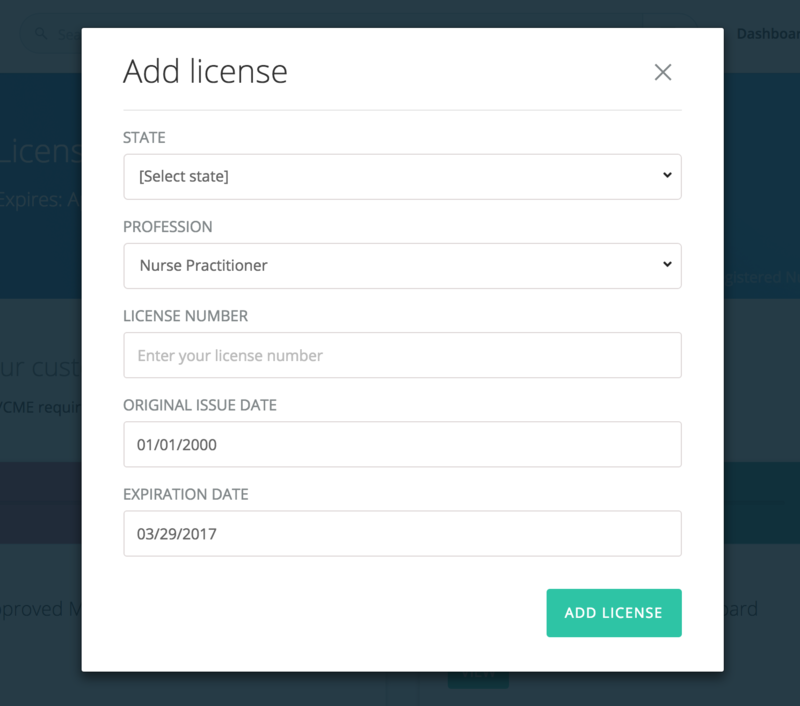 The picture below displays what will pop up: this window will ask for your license number, the state you are licensed in, your profession, original issue date, and expiration date. Check out your custom dashboard. 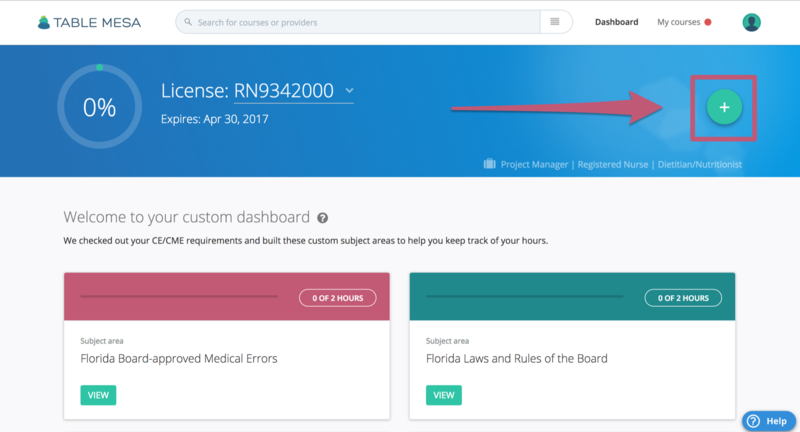 Once you have filled out this information, you will see a list of course suggestions that you need to complete before your license expires. Don't remember your license information? Florida licensees can look it up here, and California licensees can look here. For everyone else, press the button below! How do I access my license requirements?